When The Rabbit Back Literature Society was almost ready to be sent to the publisher, I happened to find a review of a book that sounded so familiar to me that I got really worried. I guess every writer knows that feeling, and it’s not a very good one. I thought that my first novel had already been written and published by an American author called Jonathan Carroll. I bought the book but read only the back cover text. Schoolteacher Thomas Abbey, unsure son of a film star, doesn’t know who he is or what he wants–in life, in love, or in his relationship with the strange and intense Saxony Gardner. What he knows is that in his whole life nothing has touched him so deeply as the novels of Marshall France, a reclusive author of fabulous children’s tales who died at forty-four. Now Thomas and Saxony have come to France’s hometown, the dreamy Midwestern town of Galen, Missouri, to write France’s biography. Warned in advance that France’s family may oppose them, they’re surprised to find France’s daughter warmly welcoming instead. But slowly they begin to see that something fantastic and horrible is happening. The magic of Marshall France has extended far beyond the printed page…leaving them with a terrifying task to undertake. My book also took place in a small and strange town. And there also was a children’s author in my book! I was absolutely horrified. I forced myself to finish my book and after I had got rid of it for good (in other words, it had been sent to the printing house and it was too late to change anything in it), I finally made myself to read The Land of Laughs. After a while I was relieved. Jonathan Carroll’s novel sounded similar to mine, but they turned out to be quite different from each other. Now I know that every single idea of a story has been used myriads of times before, and there’s no need to worry if someone else’s book appears to be scarily similar to the one you are writing. That just can’t be avoided. In the end, every writer has his or her own way to tell a story, even if we all have to use the same, very limited range of different story formulas. 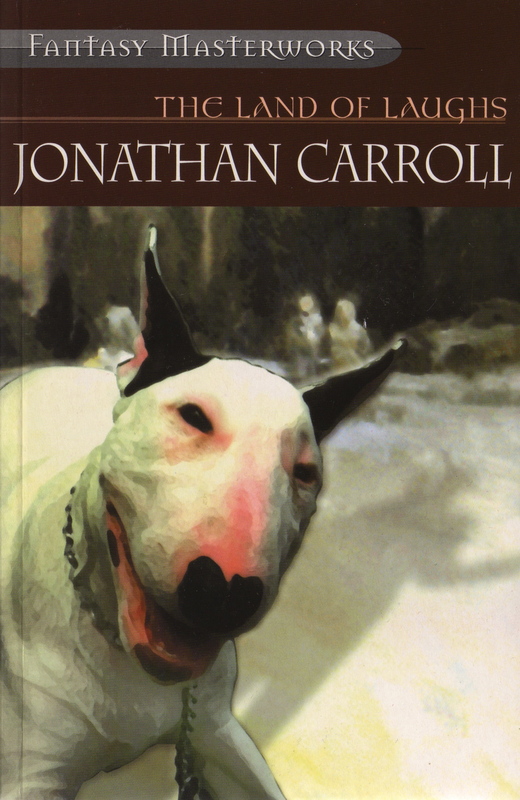 Later I read more Jonathan Carroll’s works, liked them very much and found him to be one of those kindred spirits every writer finds every now and then when reading other people’s books. Although, as I have said before, I avoid reading literature, or at least those books that might be too near to my own style, when I have my own story under construction. It’s too disturbing to bump into topics, plots and characters too similar to the ones you are dealing with in your unfinished book. And about Jonathan Carroll: I highly recommend his books. He is a true master of combining fantasy and everyday life.